American women over the age of 40 are encouraged to get mammograms to help prevent breast cancer. Moonie, being the curious type, asked what mammograms are like. 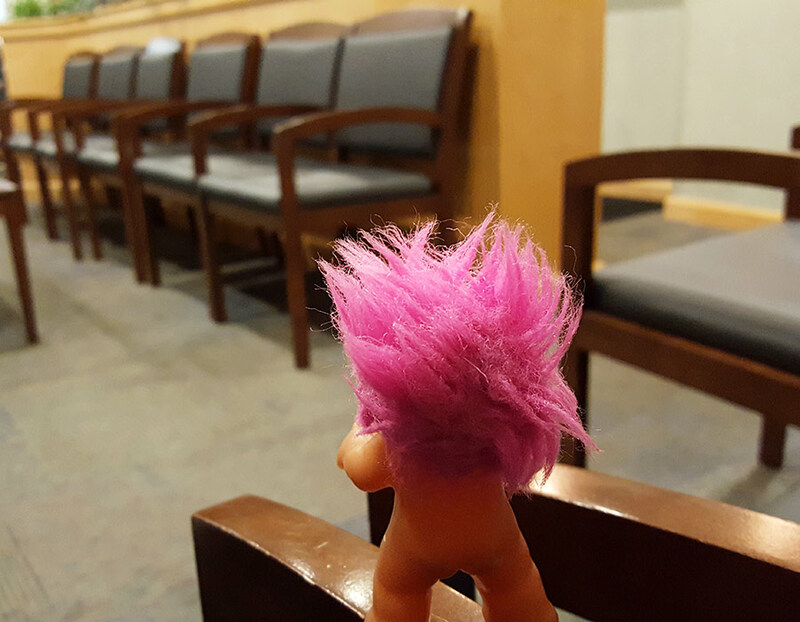 When it came time for our first “wham-o-gram,” Moonie stood guard in the waiting room, daring anyone to bother us as we prepared for my appointment.